Not all golf courses are created equal. What i mean by that is you could go play a hundred different golf courses and not one of them will be the same. Each and every golf course has its own unique design set up all depending on the architect that designed that particular golf course. Some golf courses are flatter than others and some the fairways will have hills and undulations in them so you cannot always play golf your level best. The shot that you can be sure will be level is your first shot from the tee box. 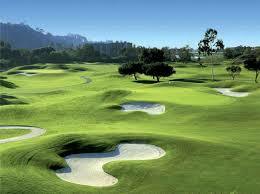 Most golf courses in the United States have what would be considered traditional golf courses. Traditional golf courses are mostly tree lined with narrow fairways with strategically placed sand traps, water hazards and other obstacles that make you carefully think about and plan your next shot. Most of the fairways on these traditional golf courses have predominantly flat fairways with just subtle hills in the fairways. The completeness of these courses are made up on the putting surfaces where you will find many hills and undulations. The other type of golf course you will come across is what is called a links style golf course. The links style golf course is most common on the other side of the pond in Europe in places like Scotland, where some say golf originated and Ireland. A links style golf course is just the opposite of a traditional golf course. Most recently more and more links style golf courses are being designed and built here in the United States, especially out in the mid west where there is plenty of wide open land. When you get the chance to play a links style golf course, believe me you will know the difference. First off you will not see a tree in site and you can usually see the entire golf course from just about anywhere. You will not find a flat area to hit from after your drive anywhere on the course, Every fairway will have nothing but hills and undulations throughout the golf course land with tall fescue grass. I’m going to explain to you all the different mindsets and set up positions you will need to pull off these different style shots with more confidence. Well its what you need to do when you are in this situation, its basically your regular golf shot. Align your body to your target line with the right golf club for the distance you want to hit the ball and take your normal swing. When you are faced with this situation where you are standing on an uphill you will need to make some adjustments for the situation. First when you set up to your ball you want to be sure you tilt your shoulders so that they are in alignment with the hill. Next you want to have the ball placement a little further up in your stance with most of your weight on your right side and keeping it there throughout your swing. One more thing is the ball will want to fly higher and you need to make an adjustment to this by using at least one more extra club than you would normally use for the distance you need to hit the ball. When faced with this shot the first thing you want to do is align your shoulders with the downhill lie leaning your body forward towards the target, you are going to want to lean your body the other way but resist the urge to do this. You are going to want to have most of your weight on your front foot here and keep it there throughout the swing. With this shot your ball is going to want to take off with a lower trajectory with a lot more roll at the end so please take this into consideration. The ball below your feet shot is probably the hardest shot for any mid and high handicap golfer. There are so many things going against you with this shot. One is the feeling that your are going to actually fall down the hill, which you won’t. Here’s what you need to do to pull this shot off. First when you take your stance you want to grip the club at the very end of the grip, second bend your knees so you feel like you are squatting a little and the last thing is the ball is going to want to go to the right naturally so aim a little left and you should be able to hit a nice fade. When you are faced with this situation where the ball is way above your feet there are certain things that you need to take into consideration. The first thing you are going to want to do here is as you approach your ball and take your stance you are going to choke way down on your clubs grip otherwise you will chunk the club into the ground. Next you want to kind of lean into the hill with your weight on the balls of your feet. 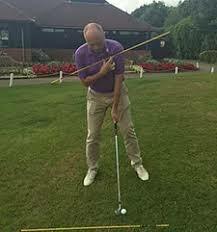 You will also want to be a little closer to the ball and stand a little more upright. Keep in mind that with this shot the ball is going to want to take off to the left when you hit so make sure to aim to the right to compensate for this. The fairway sand trap shot is not really that hard of a shot as long as you are on a flat part of the trap and you don’t have too big of a lip to get over. So basically you want to take your normal stance and then shuffle your feet into the sand a little. You will want to choke up a little on your grip to make up for sinking in the sand a little, by doing this you will want to take an extra club to make up for choking up. To pull this shot off you want to have very little lower body movement, you want to hit this shot with your upper body just picking the ball out of the sand with little explosion. So to play golf your level best your not always going to have a perfectly level lie even in the fairway. At some point in your golfing journey you are more than likely going to come across at least one or more of these awkward shots that i have mentioned above. Unfortunately you just can’t go to your local driving range and practice these shots. If you have a local course where they know you maybe they would let you out in the evening and let you practice some of these shots or maybe you have a buddy who belongs to a golf club and he can take you out to practice some. Anyway somehow try to practice these shots as often as you can. Fantastic article and site. I am a newly started golf player and I’ve been scanning through your articles for the past hour. Our local course is pretty barren as we are in a low rainfall area and the fairways have not a blade of grass in sight. I don’t have a golf coach so I appreciated your diagrams especially the Uphill Lie as that often seems to be my position. I’ll give it a shot this weekend. Great article. 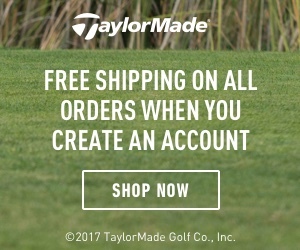 I am just starting out with golf and I have to say this site is great to get an understanding of golf as a whole. I will be sure to keep this article in mind the next time I hit the course. There is one question I have though. Which club should I bring for the fairway sand trap shot and can you recommend me one? So first off i am glad you found my site helpful and informative, second, in answer to your question, there are many intangibles that go in to the fairway sand trap shot, one being how far you are from the green, if you are 100 yards or less you can use any lofted club you hit that far and will not have to worry about any high lip the trap might have.If you are farther away you would have to use a less lofted club to hit the ball that distance, keep in mind if there is a high lip in the trap this less lofted club may not get the ball over the lip, in this case you would have to use a more lofted club to clear the lip and just advance the ball down the fairway as far as you can. Again as in many of my articles, getting out to practice these situations is the ideal thing to do.I hope i have answered your question so you understand this scenario. Hi Robert, While I’m not into golf myself my brother-in-law is and he’s a fanatic! I showed him your article and he can sure relate to it. Nice pictures and easy instructions to go by. He wants me to print this out to show his son who wants to get started with golf. Thanks so much for the lessons! Learned some new tips here that I had not tried before. I’ll try some of them next time I’m on the course. Thanks for the advice.